We love VeggieTales in our house. We love that they are teaching the kids (and adults) important life lessons, but they are doing so in a seriously funny way. We frequently find that when we put on a VeggieTales in an effort to distract the kids so that we can get something done, that it distracts us too! So when I was contacted and asked if I wanted to checkout the new VeggieTales Live! DVD, it was a no brainer, I said YES! I explained that it was alive show, like the plays we have just started going to. His response? Cool! His sister (4yo) is very into musical theater and she sat literally inches form the TV singing along with every song. I really liked "The Pirates Who Don’t do Anything" I got to dance with them! don’t like this DVD as much as other VeggieTales, because it’s all songs and I like a story and I miss the cartoon. I like it a little bit, but I prefer a story. It's worth noting that this particular six year old doesn't like musical theater and in fact was in preschool for three years before he participated in song time with them so I attribute his slightly curmudgeon attitude to his review. Oh wherrrrre are my car keys? Oh where o where oh where oh where oh whererrrrrrrre are my car keys! Do you want to make your Summer Silly? I’m giving one reader their very own VeggieTales Live! DVD! Leave a comment on this post, need inspiration, tell me your favorite VeggieTales character or song. Leave one comment per entry, two entries per person max. Giveaway will run through Thursday 16 June and the winner will be announced and contacted on 17 June. Winner has 48 hrs to respond before a new winner is drawn. 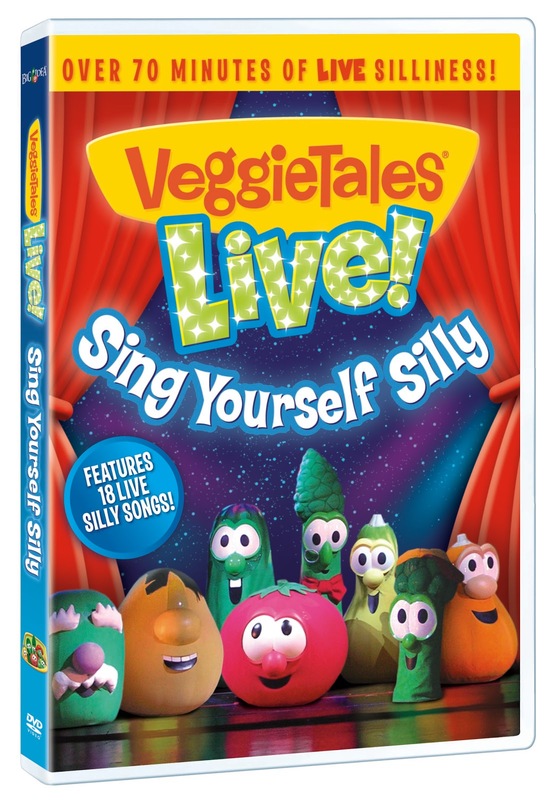 *Disclosure: I was provided with 1 VeggieTales Live! DVD for the purpose of the review. No other compensation was received and the opinions are all mine and my children's. Abby is a VeggieTales FANATIC! Bob & Larry are her favorite! She knows all of the songs. We have to play "Bob-Larry" in the car and we have tons of videos but not this one! Would love to add it to our collection! We love the (and even my husband knows every word to it) the theme song to Veggie Tales! Great stuff for kids to watch that teaches them biblical stuff. My favorite song is " i love my lips" and my favorite character is Larry the cucumber! we love to listen to veggietales on our trips that we take as a family! We LOOOOOOOOVE Veggie Tales too! We have most of ours on VHS, because I buy them every time I go to Goodwill for 50 cents a piece. My kids just love to sing and dance along too, so I know they would LOVE this! My kids would love this DVD! My 4 year old loves Veggie Tales so much that he insisted we HAD to grow tomatoes and cucumbers in our garden just like Veggie Tales. We love the theme song...my 3 three year old would love it! I love the "No Belly Button" song. It is my toddler's favorite! Veggie Tales is the anthem to my 18 mth's heart. He loves to hear them sing. I'm always looking for new renditions of faves! We've never watched them, but I've heard such great things and would love to check them out! Thanks!